Australia's winemaking history of less than two hundred years is brief by European measures, though, like Europe, punctuated by periods of extreme success and difficult times. From the earliest winemaking days Penfolds has figured prominently and few would argue the importance of Penfolds influence on Australia's winemaking psyche. 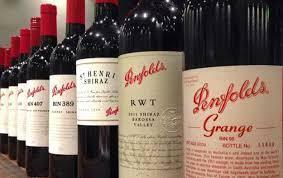 Without the influence of Penfolds the modern Australian wine industry would look very different indeed. Sitting comfortably outside of fad and fashion, Penfolds has taken Australian wine to the world on a grand stage and forged a reputation for quality that is without peer. Penfolds has a history and heritage that profoundly reflects Australia's journey from colonial settlement to the modern Era. Established in 1844, just eight years after the foundation of South Australia, Penfolds has played a pivotal role in the evolution of winemaking in Australia - and across the world. Penfolds collection of benchmark wines were established in a spirit of innovation and the constant and endless pursuit of quality, evidenced from the secret bottlings of Grange in 1951 and the unbroken line of vintages of what is now Australia's most iconic wine. Historic blends, significant milestones and heritage vineyards have been honoured by a lineage of custodians whose courage and imagination, precision and humility have ensured Penfolds remains true to its original values while remaining relevant for current and future generations.